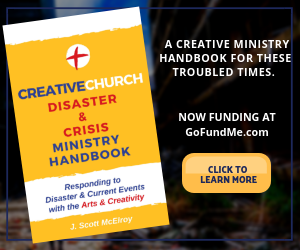 One of the benefits of the arts in the local church is that they provide experiential faith moments. They can connect us to deeper meaning when celebrating important traditions of the faith, like Advent. Here is an example of a two-part set of services that helped one congregation celebrate the season. 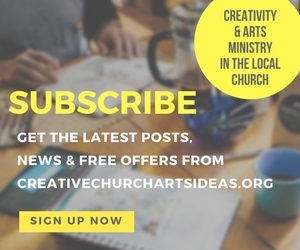 Arts-infused midweek Advent services that allow the congregation to enter into Advent in a creative way, connecting creative expressions in music, visual art, spoken word, audience interaction, and dance with the Advent spirit. With themes of hope and anticipation, Advent is an excellent season to offer arts-infused midweek services in the local church. A special midweek service can also be a good place to experiment with artistic expression, especially when it’s framed as “a little different” than usual. These services were presented in a Protestant non-denomination church. The services ran in the second and third weeks of December and featured music, visual art, dance, and spoken word. 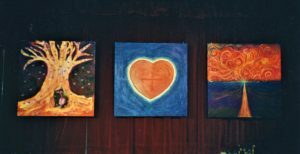 Three artists in the congregation created individual 4’ x 4’ paintings for the services that hung on the stage for both. The artists spent time praying about their image (which was to somehow portray hope and/or anticipation) then they spent some evenings painting the images together. The individual paintings blended very nicely when hung side by side, which often happens with when artists pray and dedicate their work together. 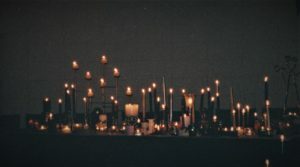 A large table of candles of all sizes was lit for each service and the lights were low, setting a dramatic and hushed tone. Both services included traditional and original music, a homily, and a creative performance. The first mid-week service was titled “Prepare the Way of the Lord” and it featured a singer who entered from the back of the auditorium and walked to the stage singing a gospel version of “Prepare Ye the Way of the Lord” from Godspell. An original song based on Psalm 80 was sung during the service, as well. A dancer interpreted the Chris Rice song “Welcome to our World” with movement. The second mid-week service was titled “Precious Presents,” and it was about offering God childlike gifts from the individual worshiper’s hearts. 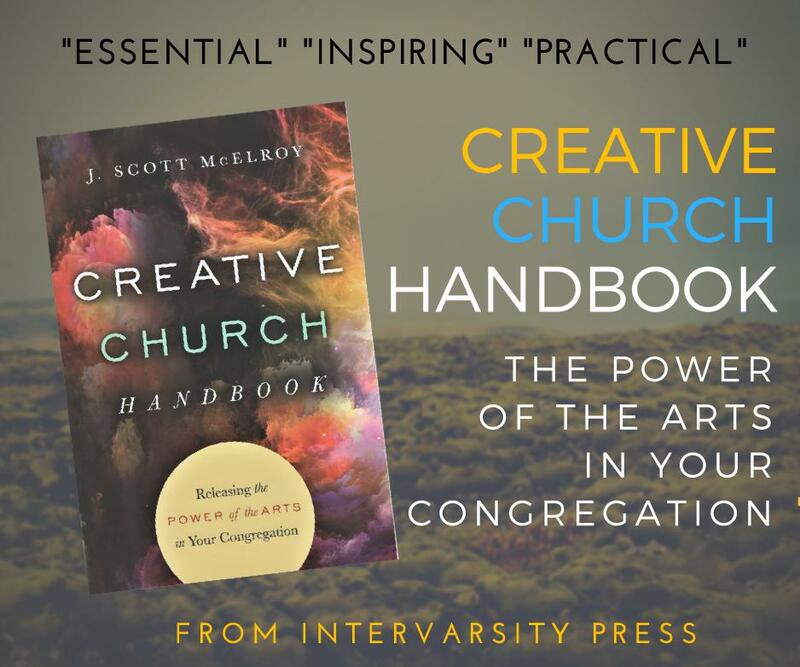 It began with an invitation for people to write what they would like to present or dedicate to God–not things that seem necessarily “appropriate,” but things that individuals find joyful or that are bothering them– on a colored post-it note that was supplied at their seat. Then later they were invited to bring it to the center painting at the front, which featured a large red heart that signified God’s heart for us. 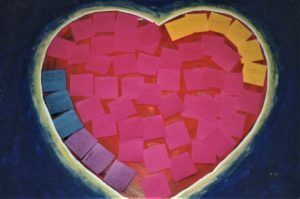 An artist was waiting by the painting to guide people where to place their colored post-it, creating shading on the heart. So the service was an invitation to bring what we have in preparation for receiving the gift of Jesus appearance for us. A very intimate and personal experience was created for the people who attended. Many commented that they connect to Advent more deeply than ever before. The church was able to offer something different from the traditional seasonal fare. 3- 4 x 4 canvas or boards, and paint supplies. Colored post-it notes. An assortment of candles, and protection to go under them to stop wax drips and maximize fire safety. 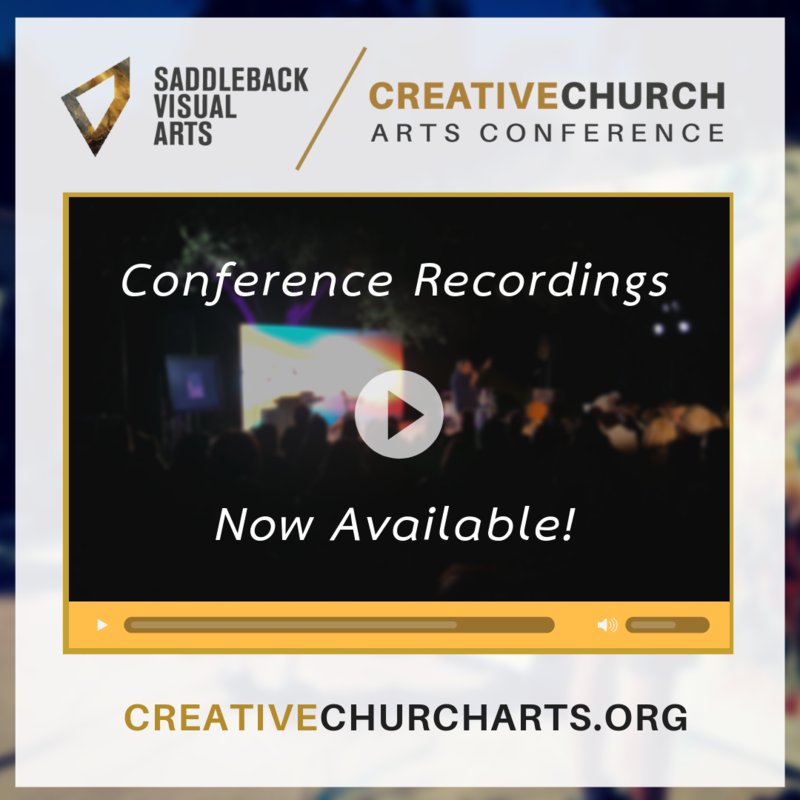 These services could be executed in a variety of ways, with a variety of elements depending on the strengths of the artists in your church.